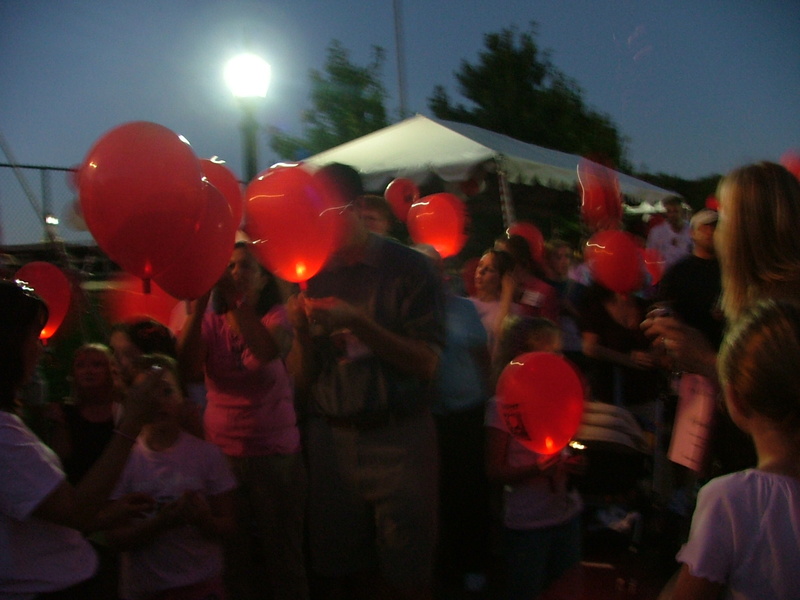 We had a very special time at the Light the Night Walk last night. The Thweatt family was there as well as many extended family. It ministered to all of us to have them there. 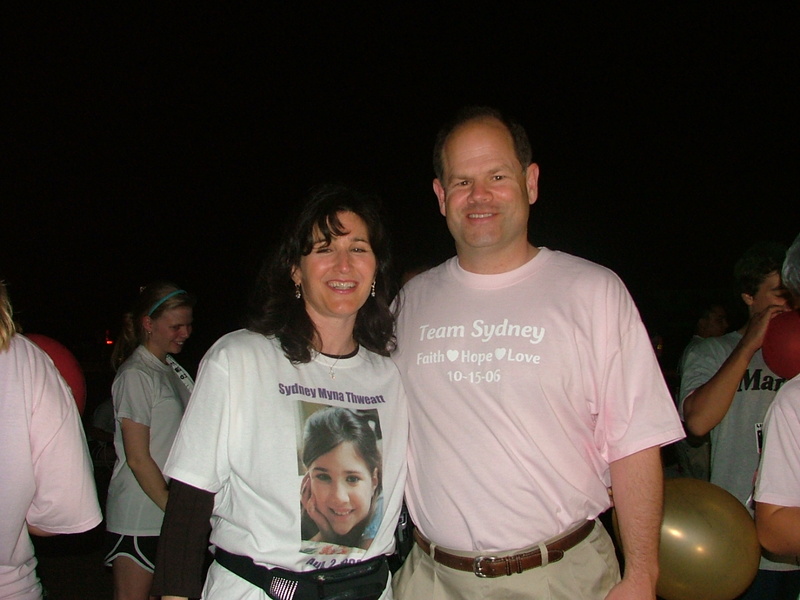 It was a beautiful but sad time of walking in Sydney's memory, yet walking in her amazing legacy at the same time. I've never known an 8-year-old to have such a powerful legacy as she left for us. I was in a worship and prayer group on Thursday and there are many ladies in it that are powerful prayer warriors just full of the Holy Spirit. They prayed over me and then expressed what the Lord had put on their hearts about Sydney. They have been praying for the Thweatts for quite a while now. Several of them expressed that they felt that through Sydney and the prayers that went out for her for so long that the spirit of "religion" was being broken down in this city--that no longer were people "bound up" by how they thought the Lord answered prayer or how limited they should pray. They have learned and are continuing to learn that we can pray big prayers, miraculous prayers, anything goes kind of prayers! They shared that there is a voice going forth from Sydney's ministry about the power of faith and prayer that will continue to break down those walls in our city. Needless to say, I was moved to tears and knew that James and Lynette would be blessed beyond measure to know that Sydney's ministry and legacy are continuing to make a huge spiritual impact on hundreds, even thousands of people. Praise you, Lord! 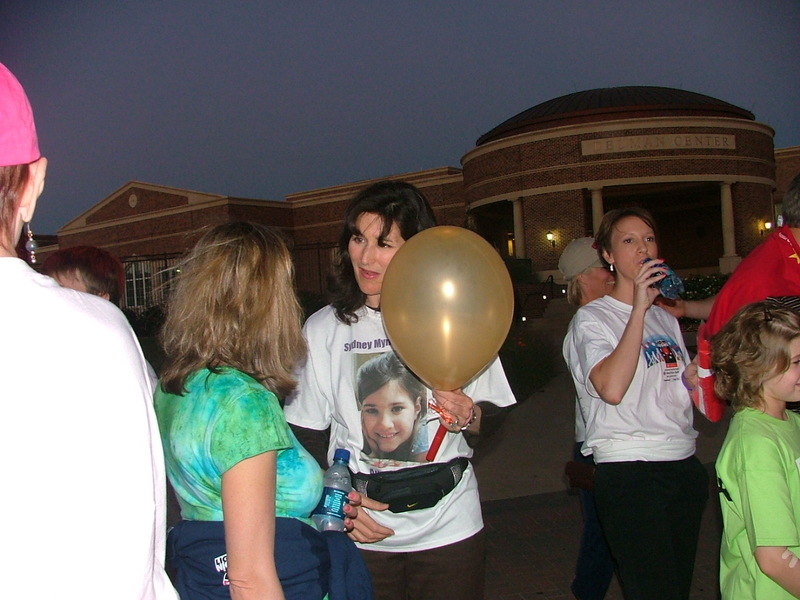 Light The Night is an annual Society event to raise funds for cures. It's the nation's night to pay tribute and bring hope to thousands of patients and their families. 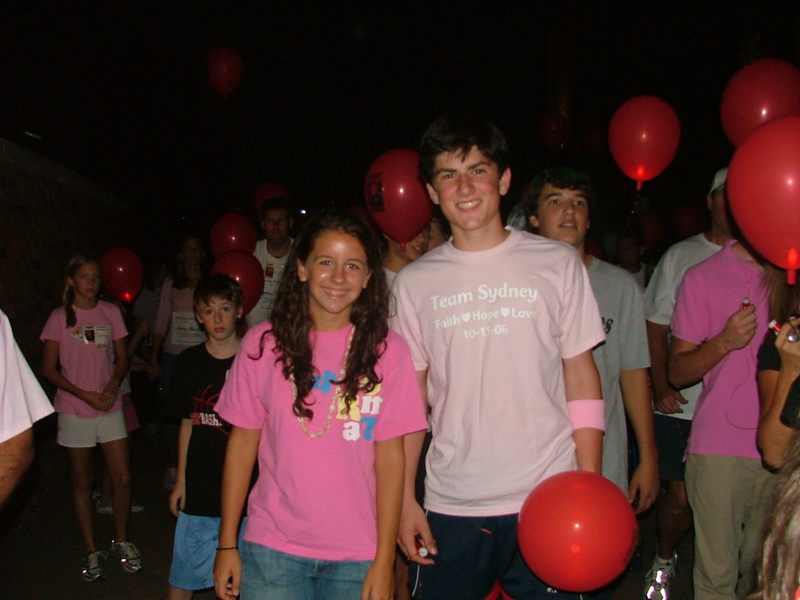 Funds raised through Light The Night Walk support the work of hundreds of the world's best and brightest researchers in their search for better therapies and cures for leukemia, lymphoma and myeloma. Anyone can take part—children, adults and seniors are all welcome. This is a casual Walk with no fitness requirements. 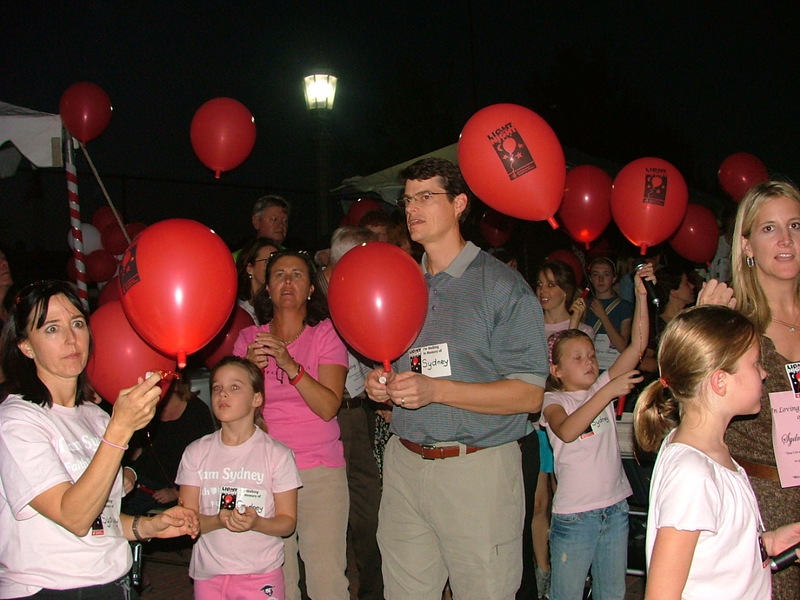 Read more about the Leukemia & Lymphoma Society's Light The Night Walk. Want to join us this year and / or donate? You can do it all on line. You can register for the event here. We are called Providence Team Sydney. It would be great if we have even more participants that last year. We raised quite a bit of money and had a lot of fun. As you know, it's something the whole family can do. So, if you want to do something to help the Thweatts but don't know quite what, this is your chance. This is a great way to show our support. 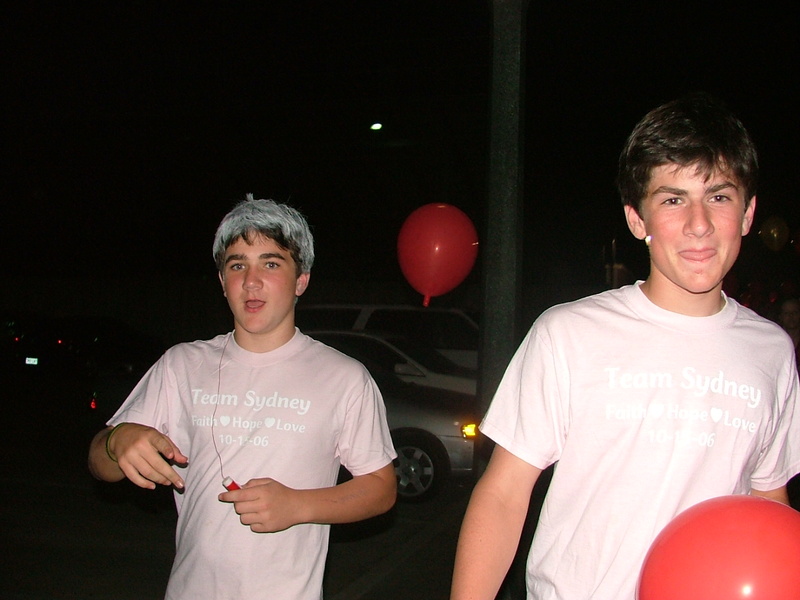 The walk is at SMU on October 21st at 7 p.m. We'll meet like we did last year and walk together. Thank you so much for your help with this.